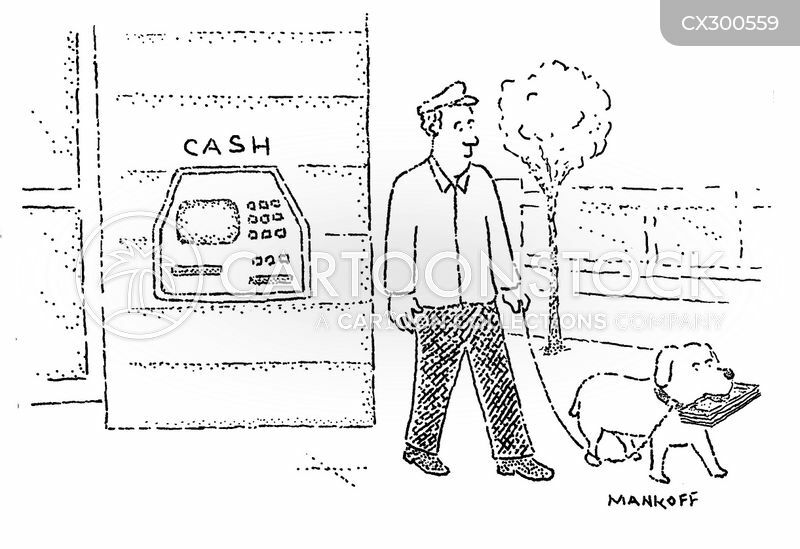 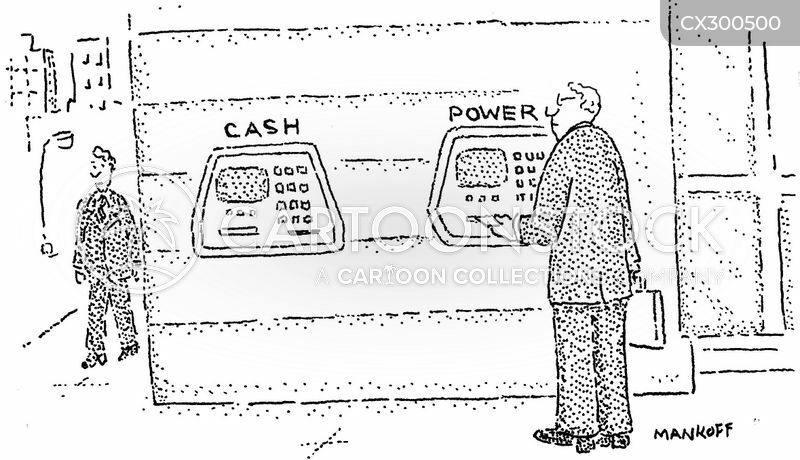 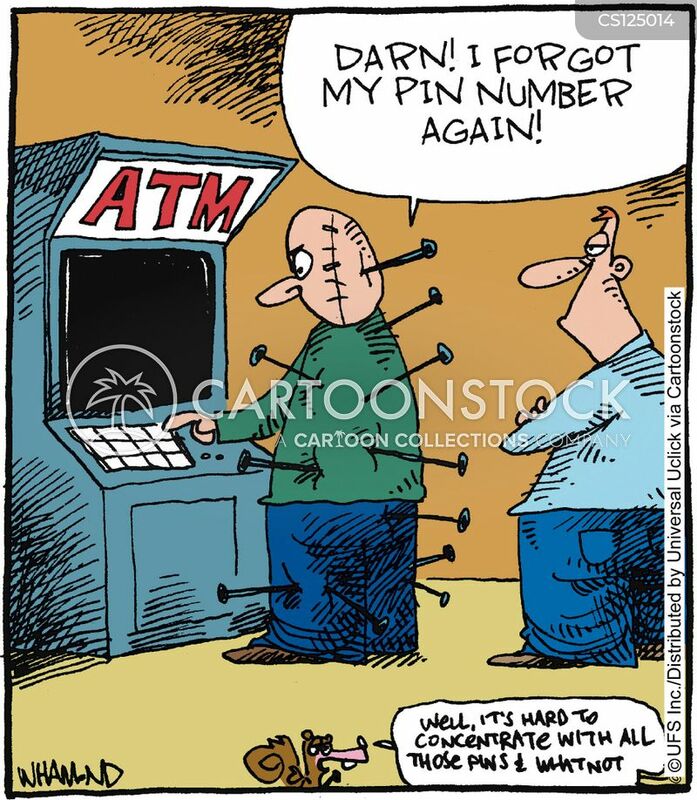 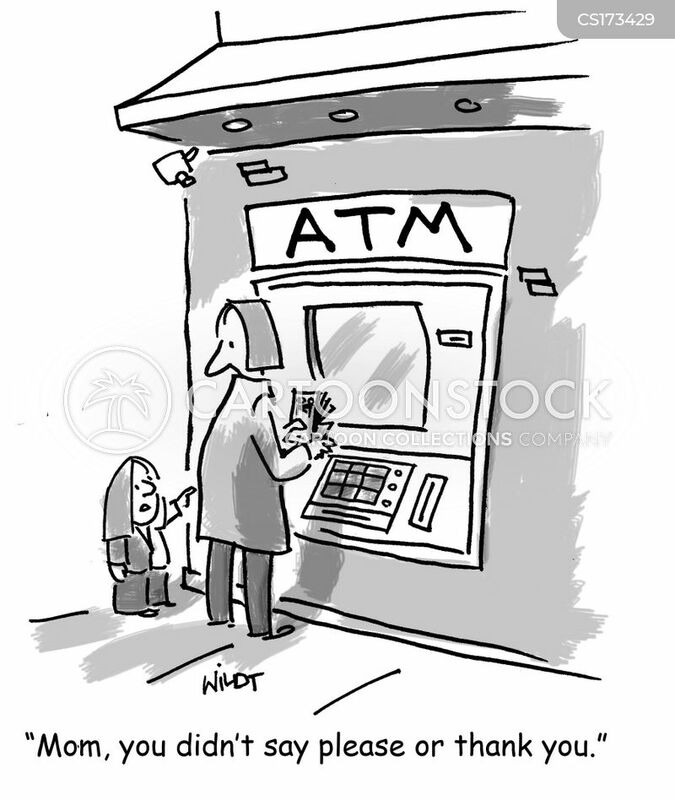 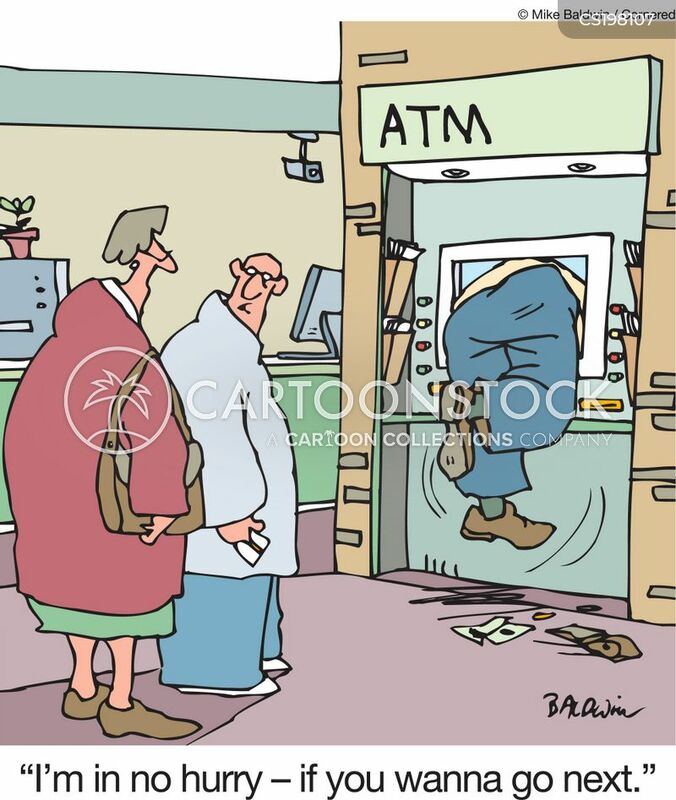 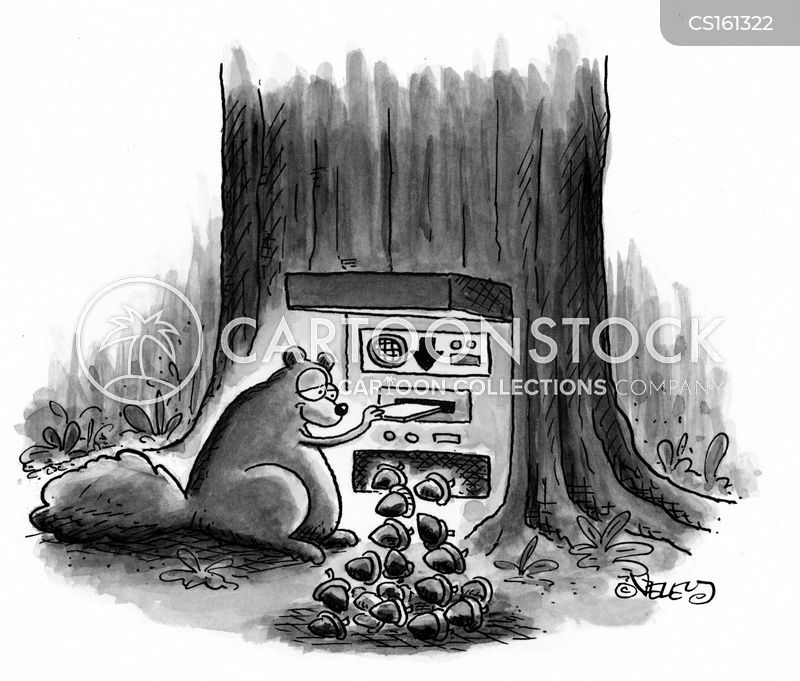 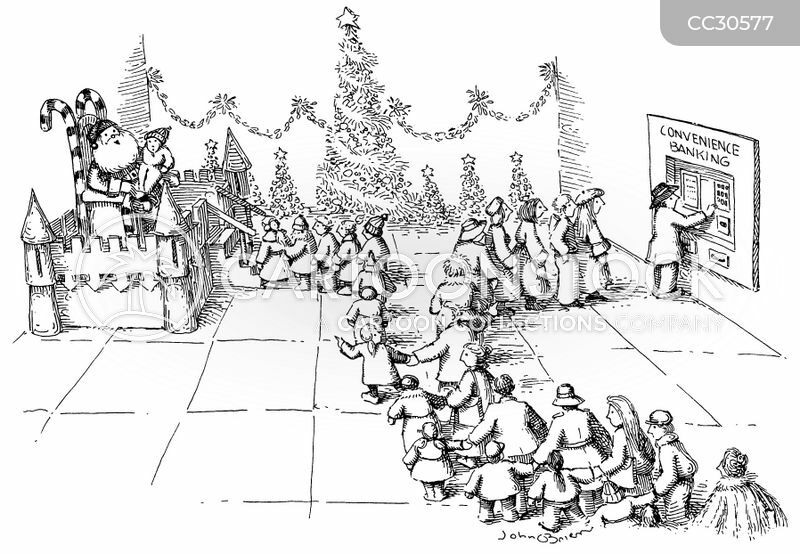 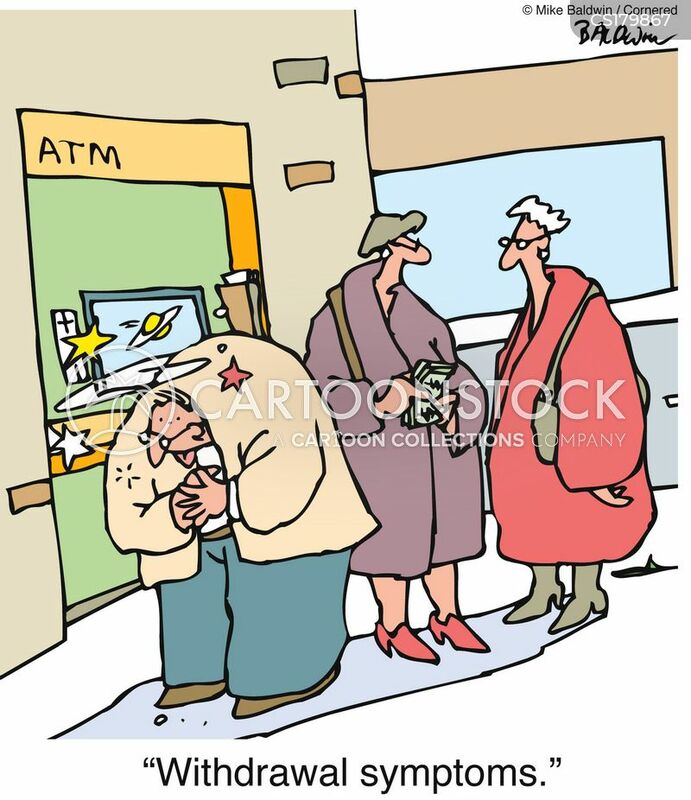 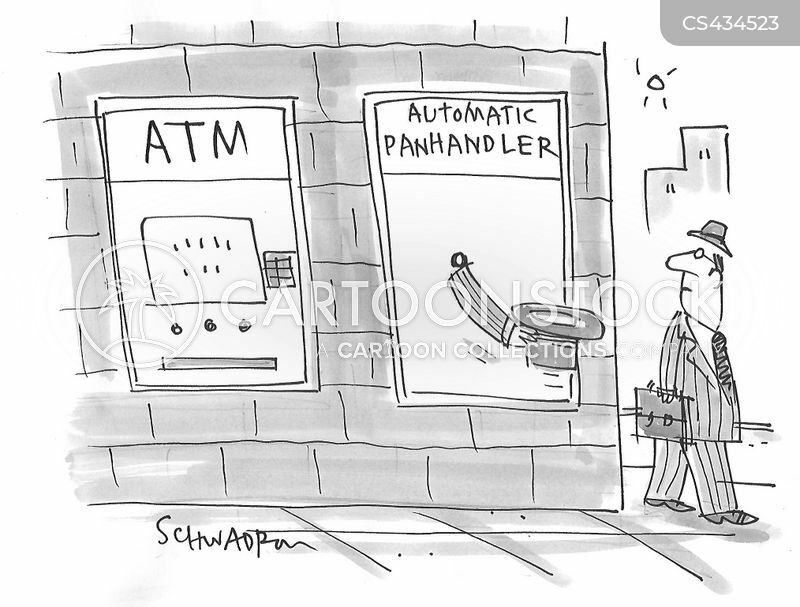 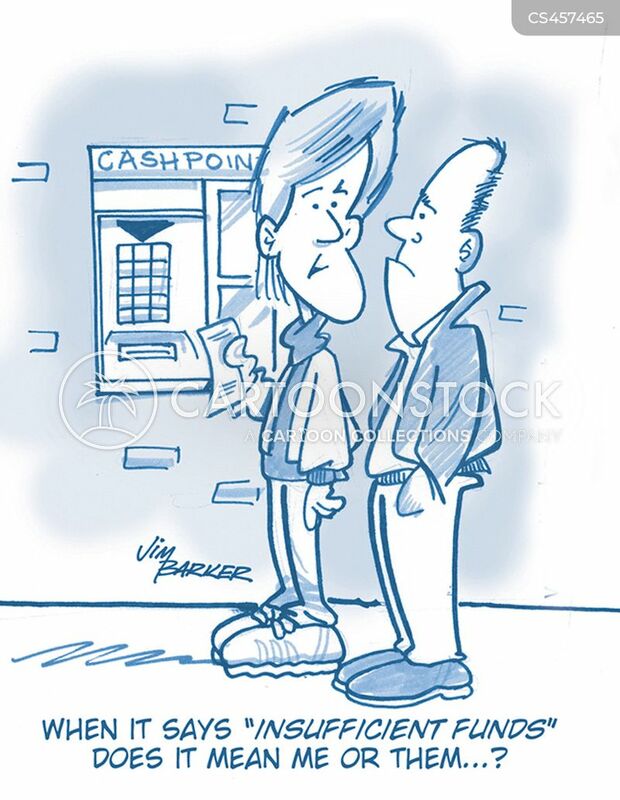 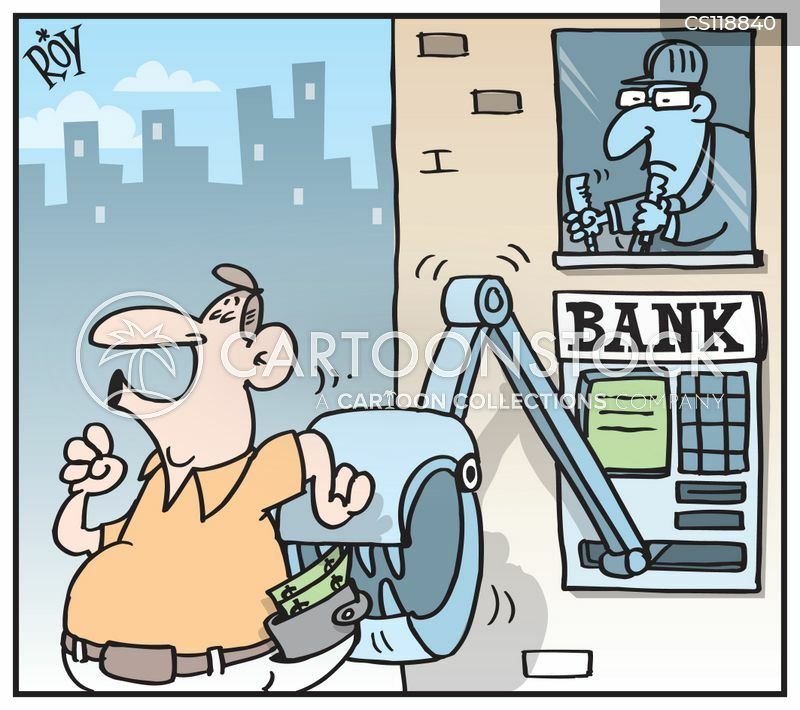 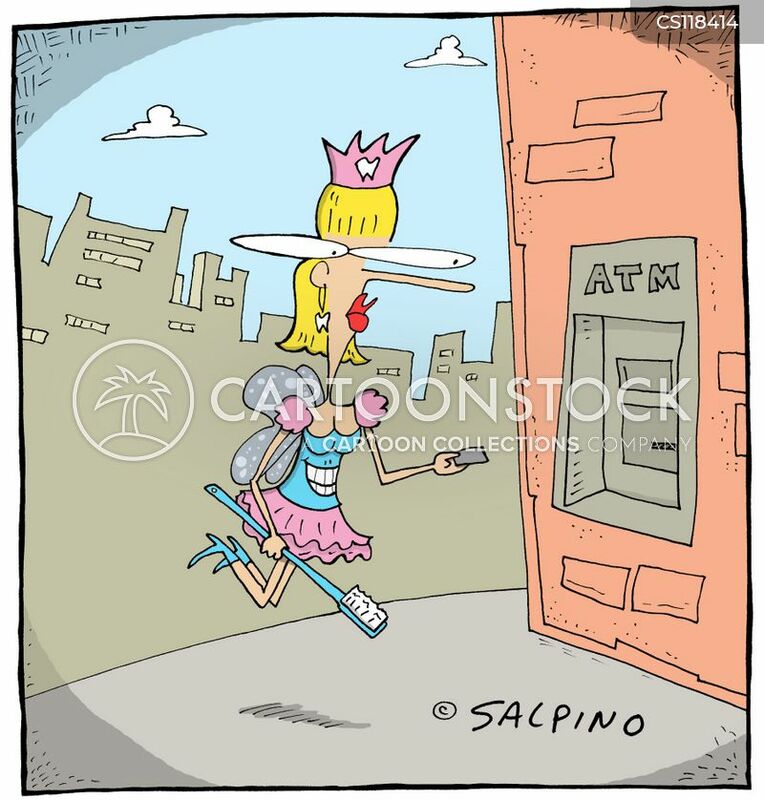 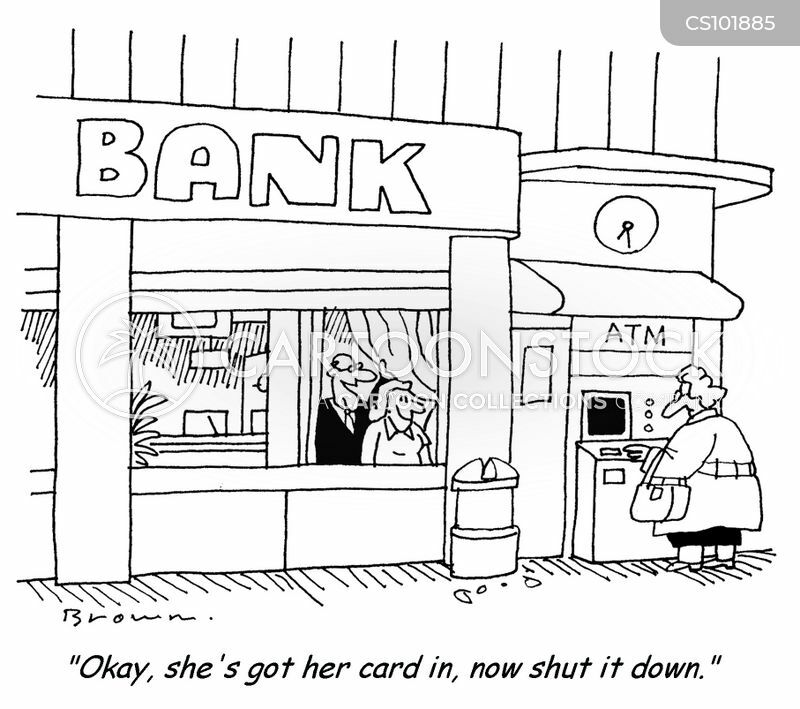 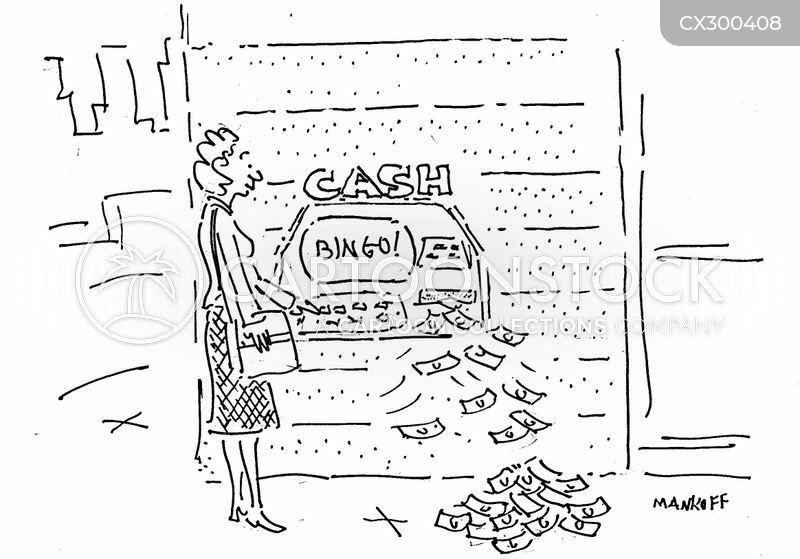 Bank Fees - A claw comes out of the cash machine and pinches a customers wallet. 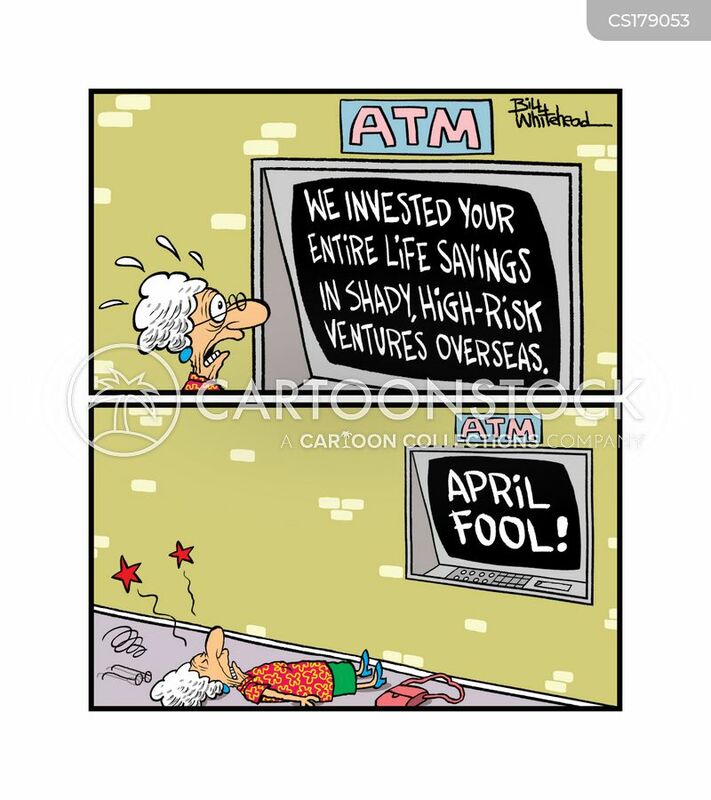 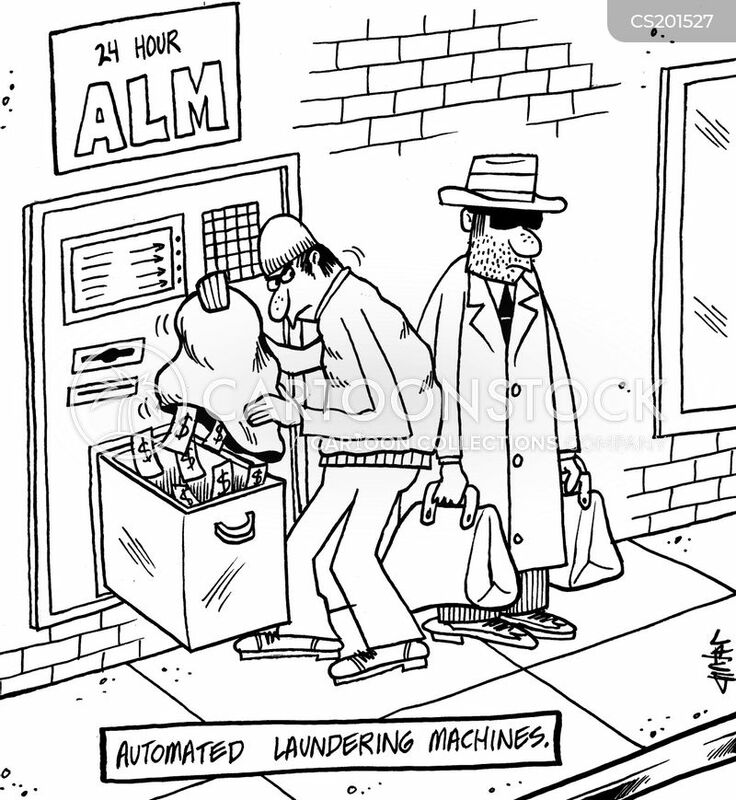 "We invested your entire life savings in shady, high-risk ventures overseas." 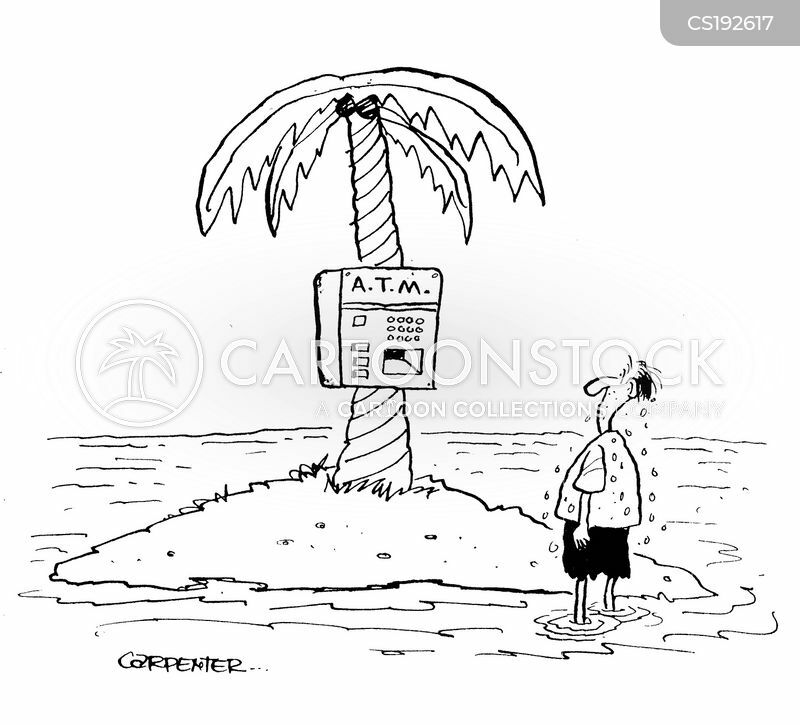 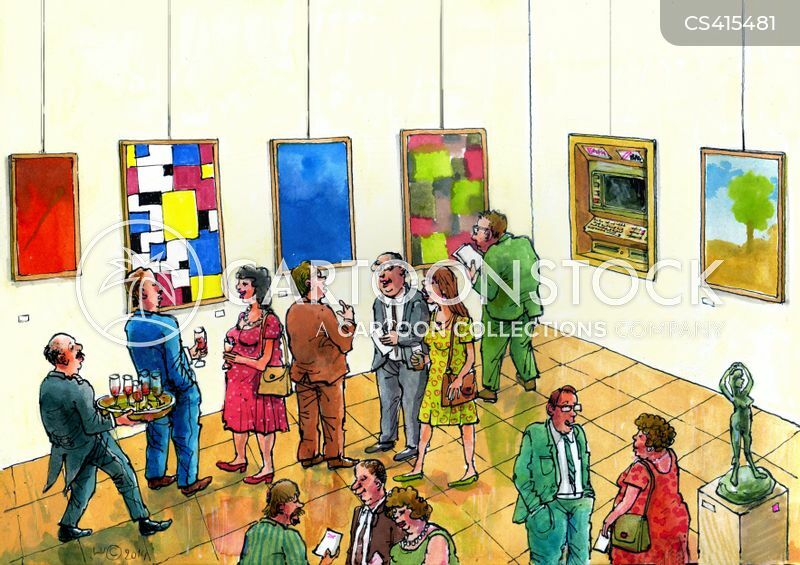 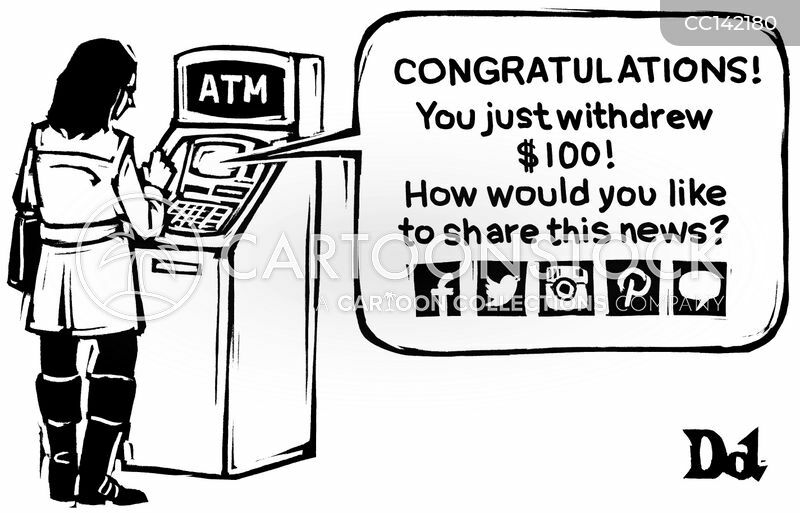 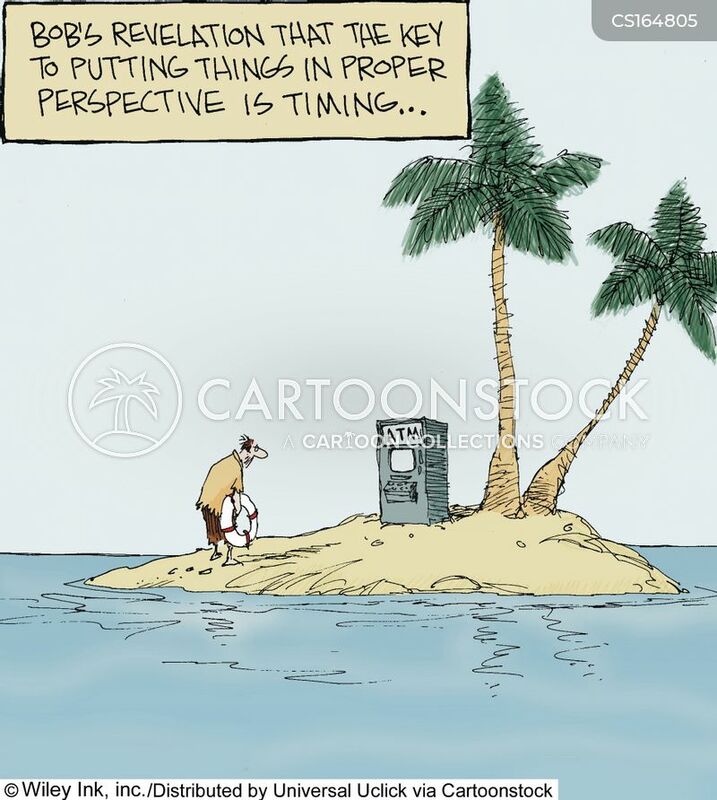 Man comes across desert island which has an ATM. 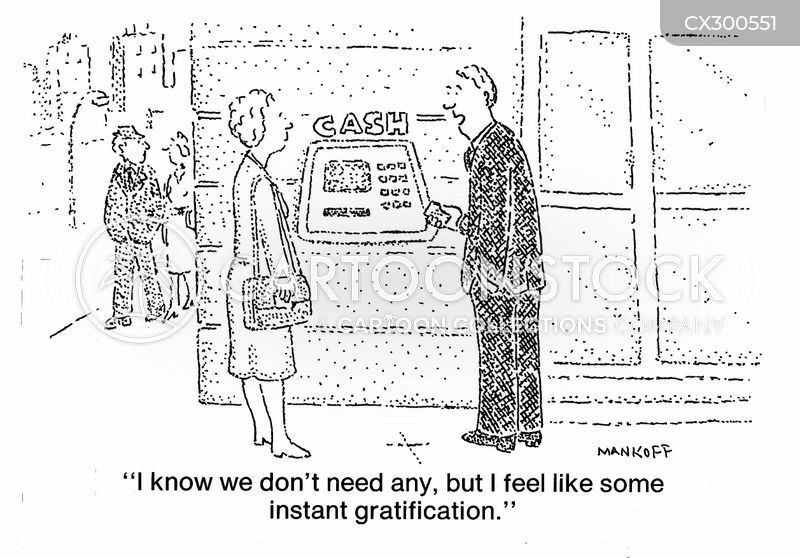 "I'm in no hurry - if you wanna to go next." 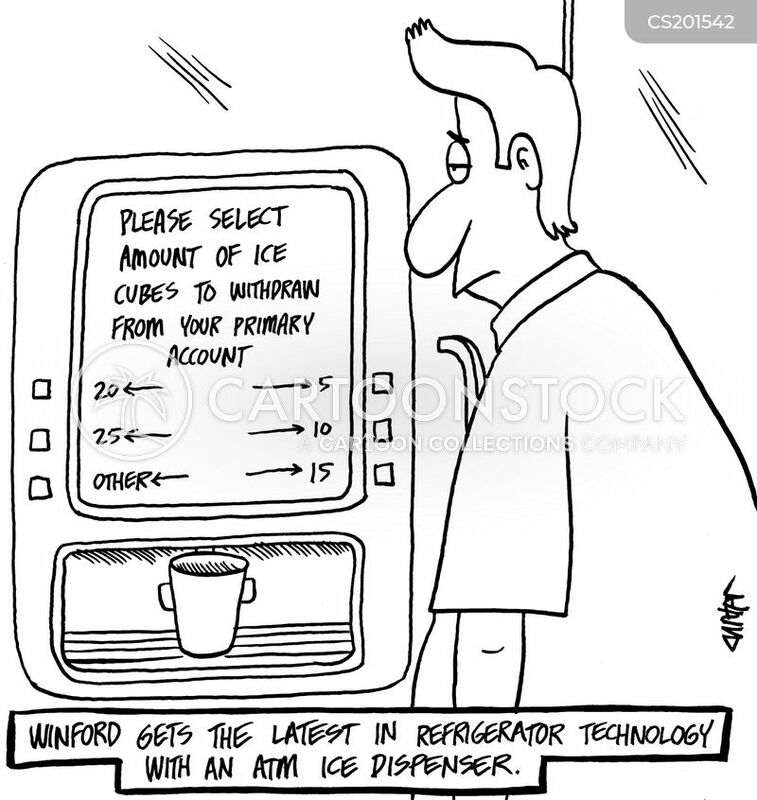 Winford gets the latest in refrigerator technology with an ATM ice dispenser. 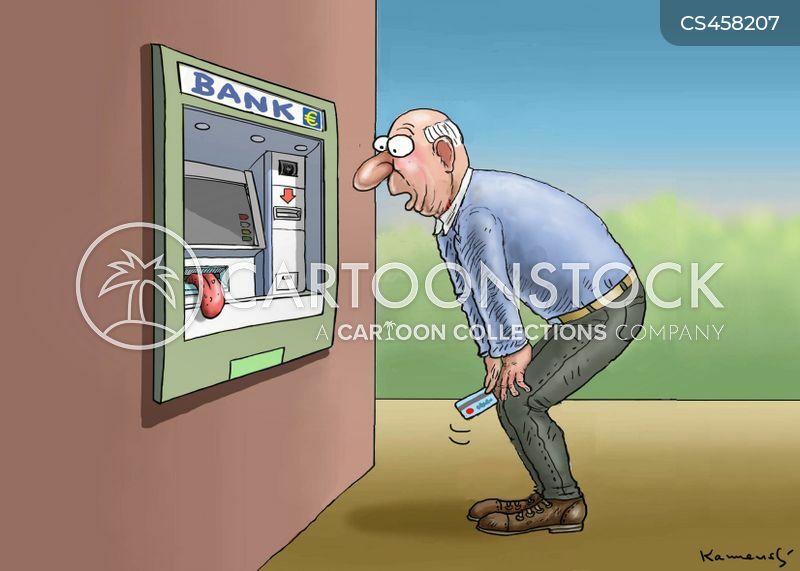 "When it says "insufficient funds" does it mean me or them...?" 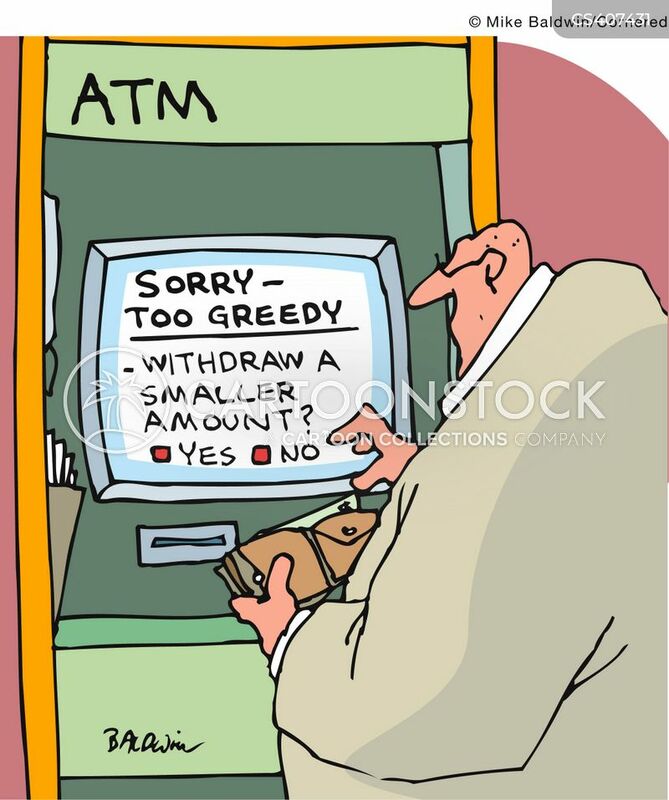 ATM Sorry - too Greedy. 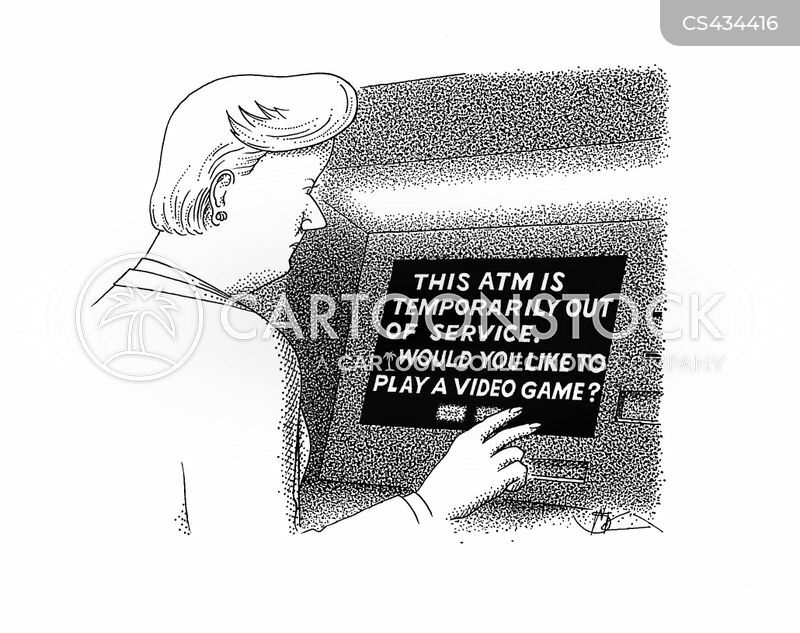 This ATM is temporarily out of service....Would you like to play a video game?